The first ever Relay for life in Olney, TX was a huge success. 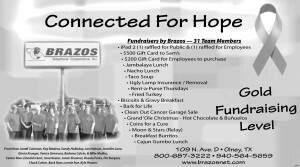 Hundreds worked, planned and raised mega funds for this year’s event. 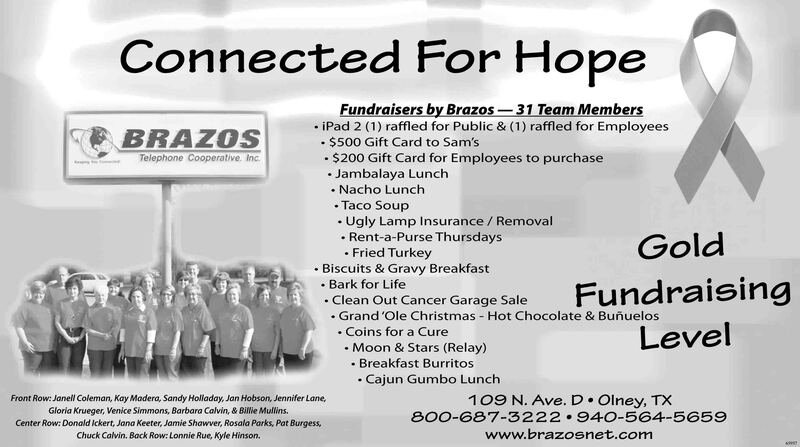 Brazos Telephone along with team members Connected for Hope were ready to help. We had such a good time and thought it would be fun to share a few of the pictures taken during the night of relay. We are especially proud of two awards presented to team members Mrs. Pat B for the “Most Individual Money Raised” and “Best of Show” to Donald Ickert creator of our Road to Recovery Car. Good Job! We would also like to say a great big THANK YOU to all who supported our team, Connected for Hope. We could not have been so successful without your help.